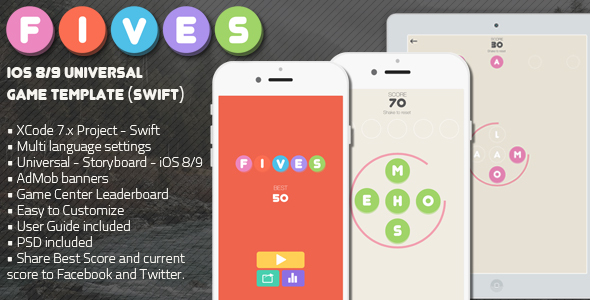 1 items tagged "Multi Language"
FIVES is a 5-letter word game where you have rush and make as many words as you can within the game timer. Everytime you match a word the timer descreases its time. It has the possibility to add multiple languages, the User Guide explains how to localize the game and setup lists of words for different languages. The device will detect its current language and show the words accordingly.